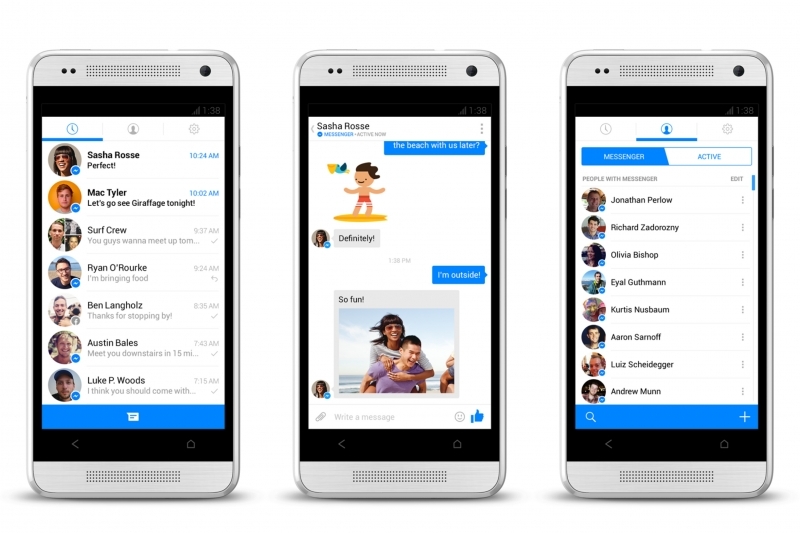 Facebook intends to kill messaging from its main mobile application in the coming days, following through with the plans it laid out several months ago. If you want to continue chatting through Facebook, you'll need to download the company's standalone Messenger app. Messaging through the main mobile application has been hardly fantastic for quite a while now, as Facebook hasn't maintained that section of their app particularly well. Installing Messenger will typically give you a much better experience using Facebook chat, including the ability to chat while in other apps through 'chat heads' and quick call functionality. If you don't want to install Messenger, the Facebook app will continually notify you to download it over the next few days before it will disappear entirely. The changes will affect the iOS, Android and Windows Phone versions of the application. Facebook says that the choice to split out messaging into a dedicated app is to "focus development efforts on making Messenger the best mobile messaging experience possible and avoid the confusion of having separate Facebook mobile messaging experiences."